When planning an event and looking for conference venues, you need more than just an idea in your mind. You need a concrete plan that can help you maximize what you'll be doing during the conference. Luckily, you've found a venue finding agency UK that can assist you in your search. We offer a variety of Manchester conference venues that work perfectly for a good deal of events. Consider a few tips we recommend you go over before beginning your venue search. The number of delegates attending your event will make or break your planning. You have to consider parking, accommodations, fire safety rules, permits, and facilities that fit the number of delegates you intend on inviting. Conference venues differ greatly in size and in what they offer, and it is therefore crucial that you gather this information well in advance. Manchester conference venues come in a variety of offerings. Whether you're looking for a casual location that can be safely used for a training event or are planning on hosting hundreds of staff members for a companywide meeting, the venue you use has to fit your intention. For example, a ballroom wouldn't be appropriate for a training camp and a school room wouldn't work for launching new products. A venue finding agency in the UK should be able to help you isolate the proper location given your demands. Next up is the location. Obviously if your delegates are located in London you wouldn't want to hold your event in a conference way outside of the city. 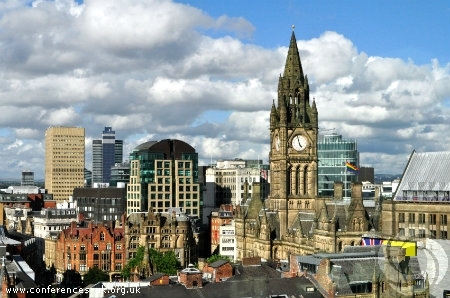 Likewise, you don't want to hire a venue in Manchester simply because it is attractive and close to the train station. The key is to find a happy medium where you can secure the ideal location for the vast majority of delegates without sacrificing on the quality of the venue itself. If you plan on holding lengthy seminars or talks, then a venue with the proper facilities will be required. If you don't want to cater your event and would rather the venue supply food and drink, then you should consider this when hiring an agency to help you in your search. The facilities offered can either enhance or detract from your event, so choose wisely. As a Venue finding agency UK, we take pride in helping our customers locate ideal Manchester conference venues for their events. We simplify the process of finding conference venues and work with your needs to make your event one for the books. Contact us today to learn more about our services.